KariAnne desired a desk for her son's room, so she browsed through her own barn and came upon a stack of pallets. Nice! 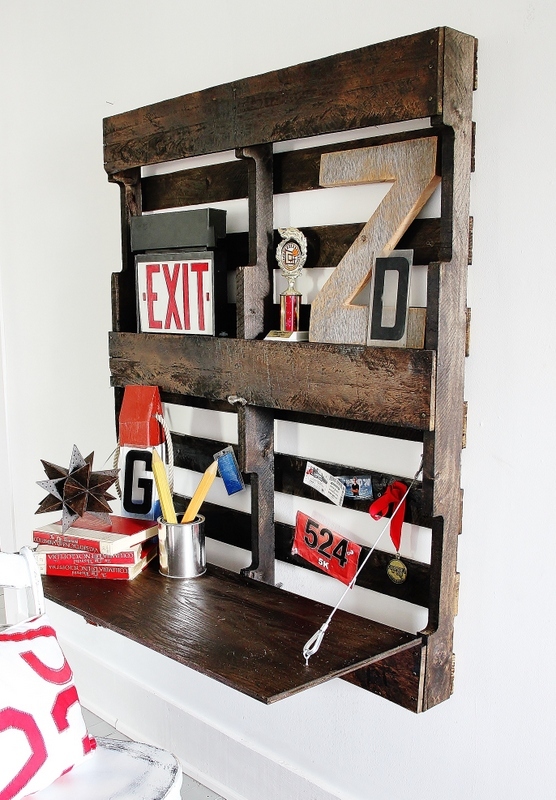 The best thing about this project is the fact that the pallet doesn't have to be taken apart! WINNING. 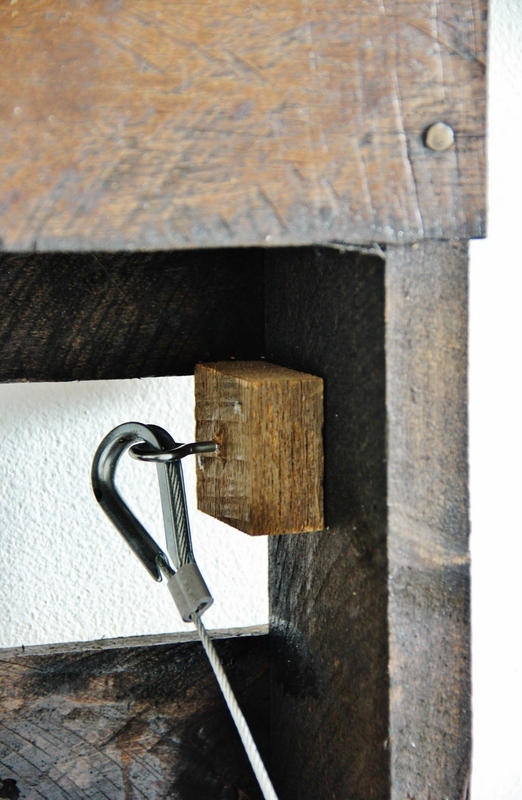 Using a couple cables, eye hooks, and hinges was all this genius idea took. I also love the fact that the pallet was cleaned up / stained to give it a richer look. Visit HERE for more Party Junk 187 linkups!